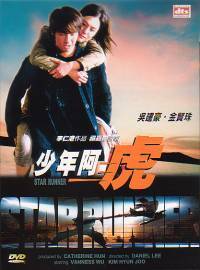 In recent years there haven't been that many notable martial arts films coming out of Hong Kong, but one film that looked promising from its trailer was Star Runner. What's more the film was going to be a competition based martial arts film, an area that there has been very few entries into in recent times. There are two sides to the plot in Star Runner. Firstly there is the action side, which is concerned with the Star Runner tournament and the leading guy's training and involvement in the tournament, and secondly there is the love story side of things. Each is pretty much handled completely separately, with only a minimal of cross over between the two. As a result, the pacing of the film suffers. As the action and training starts to pick up pace, the film then tends to cut to the love story and once it gets going more, it is back to the action, making the film feel a little disjointed. Of all films that Star Runner reminds me most of, it is the cult US film Karate Kid. In some ways, this film feels very much like an adapted remake of that film; see if you can spot the similarities from the brief plot summary. 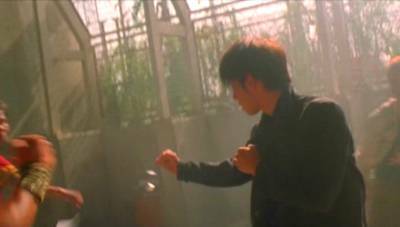 On the action side of things, the film's main guy is Bond (Vaness Wu), a guy who likes ring fighting. His kickboxing school is allowed to enter two competitors into the Star Runner tournament - a Pan-Asia, all martial arts styles, full contact tournament. At first Bond has one of the school's two places, but after a donation from the father of one of the other students (Chris), that student is given the place. Slightly peeved at this, Chris challenges him to see if Bond even has a claim for the place. It turns out that he does not, as Bond is easily beaten. Enter in a past martial arts master who sees the potential in Bond and takes him under his wing to teach him, with the help of two other martial arts masters, proper Chinese Kung Fu, from Wing Chun to Hong Kuen. Under this new school, Bond enters the Star Runner tournament where he must face his old school members as well as the tournament favourite, the mighty Tank. The love story involves Bond and his summer school Korean teacher Kim (Kim Hyun-Joo). Their relationship starts off on bad terms after he falls asleep in her class, but when he saves her from four muggers, their relationship grows on better terms. Soon they become closer, but there is always the taboo nature of their student-teacher relationship in their way. This is further complicated by Kim being in love with a married man in Korea, and his sudden appearance in Hong Kong. Karate Kid came out many, many years ago, but there is basically nothing more developed in this story than there was in that film, and Karate Kid was never going to receive any awards for its story. This is where Star Runner suffers the most, the two separate stories are neither overly developed or deep, nor that engaging and gripping to make the viewer really care for the characters involved. Some sections of the love story also are really quite predictable and, well, really cheesy, bringing the film down even further into the 'just plain average' bracket. Performance wise the film was decent. 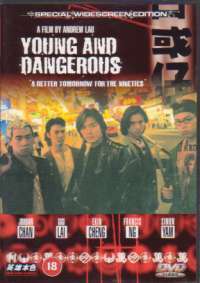 The leading guy was Vanness Wu, someone who I think is another pop star from a boy-band turned actor, and much to my surprise he handled his debut (I think) role very competently. His acting for the romance side of things seemed decent enough, but he really shined in the action scenes. Yes the editing probably made him look better than he really was, but he still showed quite a few good moves. His stance work, and the way he generally carried himself in the fights made him certainly look the part of a martial artist, so a good thumbs up for Vanness, despite his rather strange name! The female lead is the Korean actress Kim Hyun-Joo. She didn't have as demanding a role as Vanness, but she still manages to portray her character well. I don't know what else to say about her really, other than she wasn't quite so convincing in her acting when she was crying! The action side of things has a few smaller roles for some well-known faces, and a relatively new one. First up is Ti Lung; he does some Wing Chun demonstrations on a wooden dummy as well as on Bond. There is nothing that spectacular to the eye, but it is nice to know that a trained martial artist is doing what you are seeing! Gordon Liu plays the Master of the kickboxing gym, but unfortunately you don't get to see him doing any martial arts. There is a really quite cool Hong Kuen demonstration by a Caucasian guy, dressed as a priest. I have no idea who this guy is (if anyone else does, drop me an email letting me know! ), but he looks like he knows his stuff! Lastly there is the relatively recent newcomer Andy On. His first role was in the apparently quite disastrous Black Mask 2, and in Star Runner he shows that he is more than capable of pulling off some good moves. The choreography for the majority of the fights in the film is nothing special at all. The editing is always quite fast making it more difficult to see clearly what is going on, but this is likely also to hide the relative lack of ability of all the non-important fighters. The final fight is where the main choreography takes place. Unfortunately again the editing is just too quick, although it didn't appear as quick as the earlier fights. Still, there are some good techniques in there and the fight is good to watch. My main complaint is that virtually all the moves pulled off in the film are plausible moves, making it all seem that little more real, why then did the choreographer have to put in literally one or two moves that just looked completely unbelievable?! A small comment has to be made on a small fight near the beginning of the film. In fights impact noises, grunts, groans etc. as the people are fighting are all expected and accepted, but where the hell does a horse's 'Neiiighhhh', or however you phonetically spell it, fit into things? I have no idea, but someone must do because you can hear one or two in the opening fight! 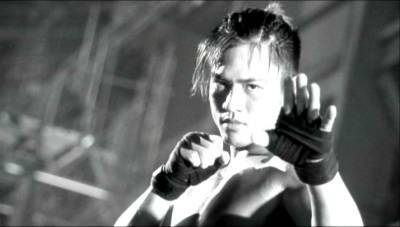 There have been a lack of decent martial arts films coming from Hong Kong in recent times, and unfortunately Star Runner doesn't buck this trend. It has shown potential for its two main action stars, Vanness Wu and Andy On, and I look forward to their future work, but other than that as a film there is nothing that special on show here. Badly placed humour, a rather predictable and cheesy love story and a simple, Karate Kid-esque action story, I'd hoped for more. For my viewing of Star Runner I chose the Cantonese DTS option. I personally doubt the DTS will have anything to offer over the DD5.1 option, as the film doesn't have an overly active soundtrack. The surrounds are used where you would expect them, i.e. 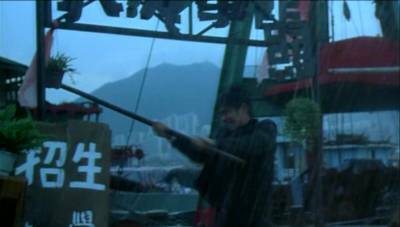 rain falling all around, crowd's cheering also coming from all around the soundstage during the competition fight scenes and other general sound effects. I am going to assume the film was post-dubbed, because if it wasn't then the lip synchronisation looks well off in places. The overall sound quality is pretty good, with the speech and effects all being crisp and clear. The English subtitles are basically very good. Throughout the film there are only a few spelling and grammar errors, but nothing too serious. The most significant criticism is that in a scene where Kim sings a song, the song is not subtitled. Yes, the English translation may not be quite as lyrical as the original version, but it would still be nice to know what she singing! Disappointingly, Universe have not decided to give Star Runner an anamorphic widescreen transfer on this DVD. For such a recent film, it really should have been and the lack of it shows a bit of slackness and lack of caring on Universe's part, in my opinion. However, the print itself is generally very clean with literally only a few noticeable speckles throughout. Colours are nice and bright with good contrast and no colour bleeding. The print is a little soft though, meaning the detail levels that I would personally have expected from such a recent film, just are not there. In the Extras department, there is only a little more than the usual Universe servings. There is the obligatory film trailer and Star's File. This time though, there are no files on the stars of the film, just the director Daniel Lee and it is in both English and Chinese. Following this are the More Attractions, which features trailers for the films The Death Curse, The Floating Landscape, Miss Du Shi Nang and Truth Or Dare: 6th Floor Rear Flat. Second to last, there is the film's Making Of, which clocks in at 22.5 minutes in duration. This just shows general scenes being filmed and has interviews with cast and crew. Alas it is in Chinese and only has Chinese subtitles. Lastly there is a photo gallery, which I always find to be a rather pointless extra. Star Runner is not the 'must-see' film that I was certainly hoping for when I originally saw the film's trailer. There are some decent fights in places, but the stories in the film could have been so much better. 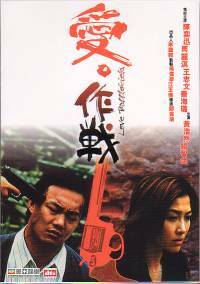 However, I hope this film gets the ball rolling for the production of more martial arts films and brings Hong Kong action cinema back to the forefront of the genre.